More than 100 people gathered in Chicago on Sunday evening to protest the death of Steven Rosenthal, a 15-year-old boy who police say shot himself in the stairwell of his West Side home, following a brief chase with officers. Police say that officers tried to question the teen after seeing him with the weapon just before 7 p.m. on Friday. 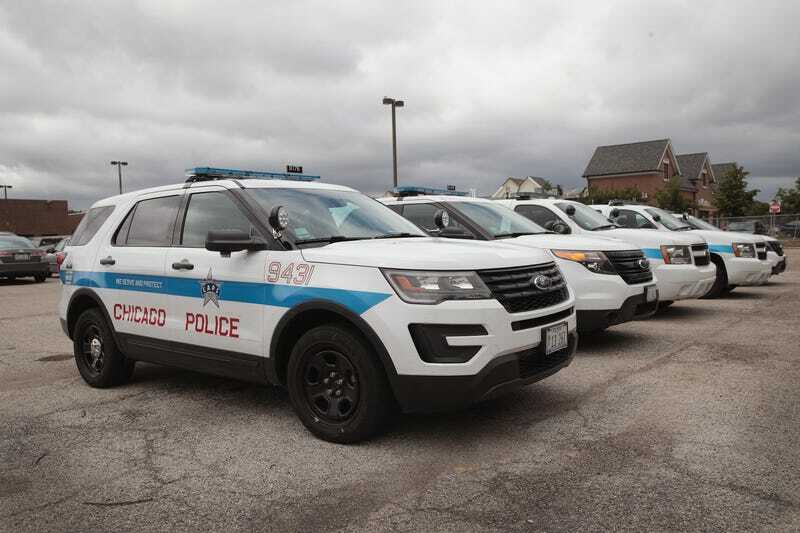 The teen ran, officers gave chase, and a short time later, Rosenthal had sustained a fatal gunshot wound to the head, the Chicago Tribune reports. The medical examiner’s office ruled the death a suicide. However, Rosenthal’s family members are not so convinced, rejecting the notion that the teen would have killed himself, and blaming officers instead, whom they accused of shooting the teen. Rosenthal’s aunt and legal guardian demanded the release of any body camera recordings of the shooting, pleading directly to Mayor Rahm Emanuel. During Sunday’s protest, demonstrators shouted “no justice, no peace,” as well as “let us see Steve,” marching from Johnson School of Excellence at 1420 S. Albany Ave. to Mount Sinai Hospital just blocks away, where Rosenthal died. There was a brief scuffle outside the hospital’s emergency room when a group chanting “let us see Steve” tried to force their way into the building. However, according to Chicago Police spokesperson Anthony Guglielmi, no footage was found that depicted the moment that Rosenthal was shot, and he noted it is not certain if state law would allow the public release of the footage, due to the way the teen died, the Chicago Sun-Times reports. Guglielmi also noted that there is no video or ballistic evidence to suggest that an officer opened fire during the confrontation with Rosenthal. The law, as well as department policy, requires officers to report when they fire their weapons, and no officer reported such an incident, according to Guglielmi. The spokesperson noted Rosenthals’ death as an “absolute tragedy,” adding “suicide is an immensely difficult and painful thing to deal with” when questioned about the skepticism of the community. Still, the family is demanding a “full, independent and transparent” investigation into the teen’s death, with the family’s attorney noting that they have yet to see his body.